“Potential” is a big word in real estate, along with “cozy.” “Cozy” means so tiny you can hardly believe it. “Potential” usually means, “There are so many things wrong with it we hardly know where to start.” But sometimes you come across a house that really does have, well… potential. A realtor who I bumped into at an open house told me about this place. She’s been doing a little survey of older houses with potential and she said this was the best. I went to see it and I immediately knew what she meant. The setting is a knockout. 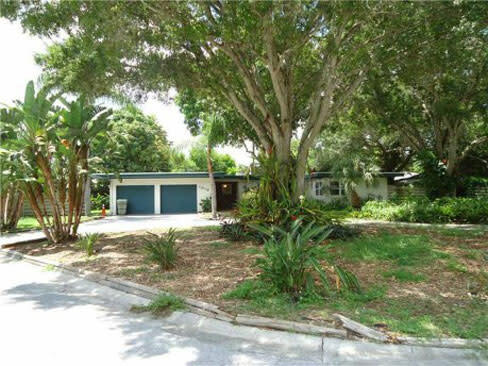 It’s located in the Indian Beach neighborhood (1116 Caloosa Drive) and sits under a canopy of giant oaks. There really isn’t a lawn, just a picturesque planting of ferns and bromiliads. The lot is pie shaped, and the tip of the pie is on a canal (no bridges to the bay, by the way) and there’s a little dock. You only have about a dozen feet of actual waterfront, but the view from the house down to the dock is very pretty. The house itself? Well, it needs work. 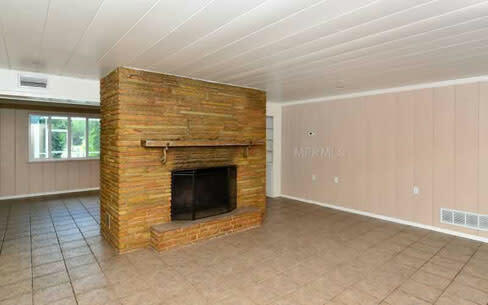 It’s a solid 1950s concrete-block ranch with some nice period touches—a great flagstone fireplace, original built-ins, and a definite mid-century modern vibe. The two bedrooms are nice and large, but there is only one bath. No, I lie. There’s a half bath off the kitchen. 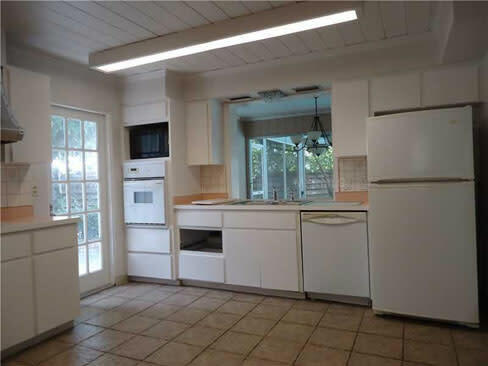 Of the kitchen itself….well, let’s just say it has potential. 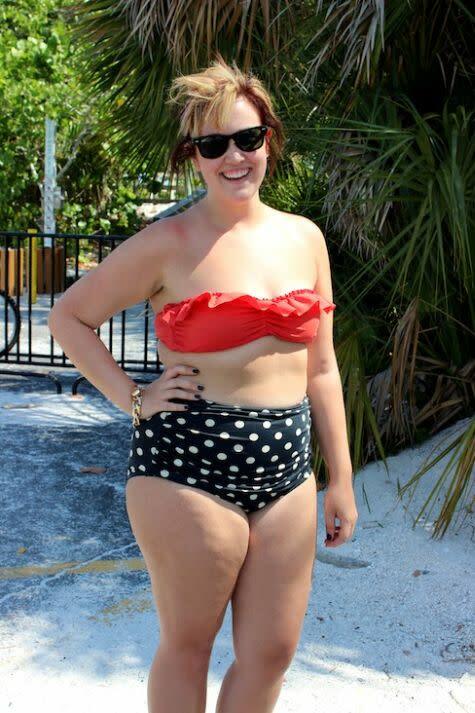 There’s also a nice pool with a surrounding area that’s a little sad. The thing I like most? It has a very strong “Sarasota in the old days” kind of feel. The house is simple but with custom features, the landscaping is dense and tropical, and there’s a little bit of waterfront. This is the way people used to live back when this was a little town full of artists and writers. Of course, that doesn’t add much value to a house; in fact, it probably detracts. It’s being sold as a remodel, expansion, or possible tear-down, and it’s listed at $375,000. The PR says it’s the least expensive no-bridges-to-bay canal front home in Sarasota. For more information call Suzanne O’Neil of Coldwell Banker at (941) 921-4434.